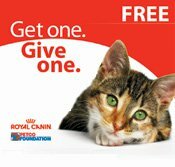 Royal Canin and PETCO are partnering to provide assistance to animal welfare partners through the "Get One, Give One" promotion. While supplies last during the weekend of July 8-10, 2011, PETCO will offer every customer a free can of Adult Instinctive or Ultra Light adult feline wet formula for their cats - no purchase necessary (limited to two cans per customer). 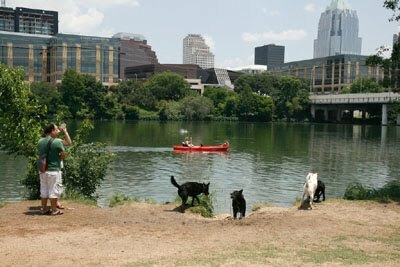 For each can given away, Royal Canin will match it with a product donation to the PETCO Foundation.